A recent industrial lease renewal here illustrates at least two trends and maybe a third as well: Landlords are important in any market but particularly in tight ones. And long-term lease renewals continue to be popular. “Univar chose to renew its lease because, in addition to the convenient location ideal for its operations, Terreno is widely considered a best-in-class landlord with outstanding management capabilities that are highly valued by their tenants,” Ben Eisenberg, Transwestern Senior Managing Director tells GlobeSt.com. 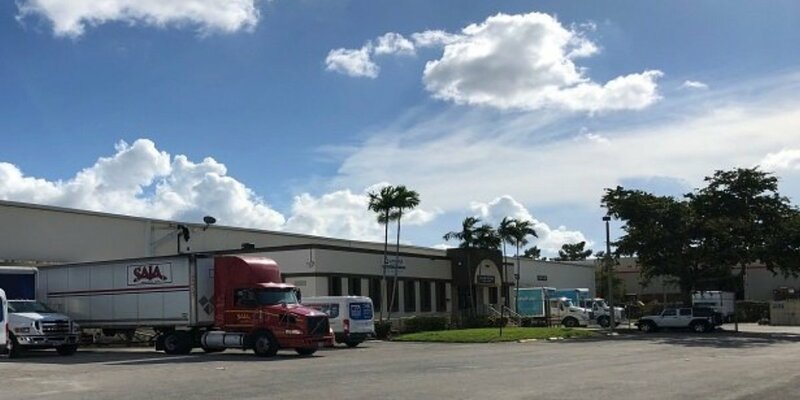 “Also, as the overall industrial vacancy rate continues to tighten in Miami, this transaction represents a continued uptick in long-term lease renewals, a trend we’ve observed in the market,” he adds. He was referring to Transwestern’s South Florida industrial team’s securing a 44,101-square-foot lease renewal with Univar USA at a 64,086-square-foot industrial building at 7120 NW 74th Ave. in Miami. Transwestern’s Senior Managing Directors Ben Eisenberg and Walter Byrd, Managing Director Thomas Kresse, and Vice President Carlos Gaviria facilitated the transaction on behalf of Terreno Realty Corp., which the team also represented during the asset acquisition in December 2016. Another trend or third element of the sale worth noting is how it shows that lower priced Class B can be a better choice at times than new Class A. According to market research by Transwestern, Miami remains one of the nation’s tightest industrial markets, with vacancy consistently below 5 percent since 2015, reaching as low as 4.1 percent in the past year.